If you’ve recently sold a home, there are some things you need to know at this time of year. When you sell your own home (or principal residence) you usually don’t have to pay tax on any profit from the sale. But what you might not know is that even if you are entitled to the principal residence exemption, you need to report the sale on your income tax and benefit return. This became mandatory in 2016. It is also important to remember that on your tax return, you need to include income from property sales other than your principal residence. For example, if you sell a property you bought with the intention of re-selling it and you make a profit, your profit is taxable. If you bought a home to renovate and re-sell, or bought a pre-construction condo unit to re-sell, your profit is also taxable. In the case of the sale of a secondary home, such as a cottage or a rental property, there are also tax implications. In some situations, this profit is considered business income; in other situations, it is considered to be a capital gain. There may also be GST/HST implications. 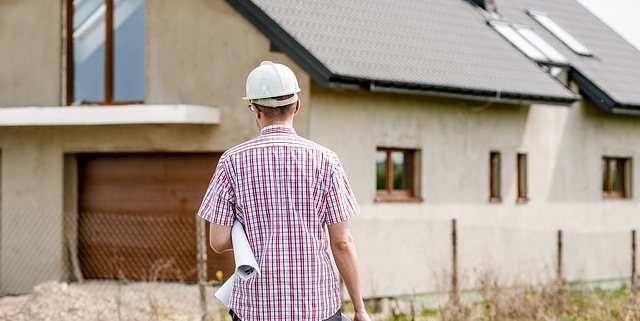 In recent years, the Canada Revenue Agency has increasingly been identifying cases where taxpayers did not report their income from real estate transactions. The penalties and interest associated with unreported real estate sales can be substantial, so make sure you get some advice from a trusted source on how to report correctly if you are unsure. If you didn’t fully declare this income on a past tax return, the Voluntary Disclosures Program at the Canada Revenue Agency may give you a second chance to correct your tax affairs. Find out more at canada.ca/taxes-buy-real-estate-to-sell-for-profit. 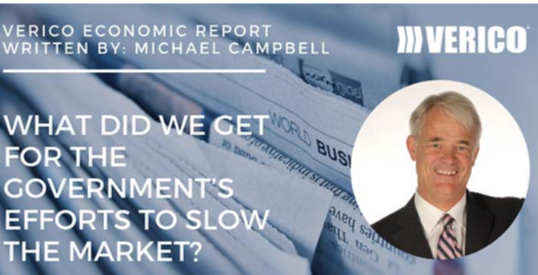 What did we get for the government’s effort to slow the market? So what does a new trade agreement between Canada, the US and Mexico mean for Canadians? In a nutshell, higher interest rates. When the Bank of Canada met on October 24th, there was a rate hike to 1.75%. And the consensus is that there are at least two – probably three more hikes coming in 2019, which would put rates at the highest level since the 2008 subprime mortgage crisis. The new USMCA trade deal looks an awful lot like NAFTA and for the overall economy that’s good news especially compared to the uncertainty that has been surrounding the talks over the last 18 months. Given over 70% of our exports go to the US and half of Ontario’s economy is tied to US/Canada trade, failing to reach a deal was not an option. Arguably Canada’s greatest economic advantage internationally is access to US consumers and businesses, which has become even more important given the current protectionism impacting global trade. Now the uncertainty for Canada surrounding access to the US is over. The Bank of Canada has specifically cited the ongoing uncertainties surrounding the NAFTA negotiations as the most important obstacle holding a rate hike back but with the new agreement the vast majority of analysts believe that Bank will act. Canada’s bond market has also seen rates move higher recently in anticipation of a rate hike, which will put significant upward pressure on mortgage rates and in turn price some people out of the market. https://micheleellis.com/wp-content/uploads/2018/12/Whadidweget2.png 275 538 Michele Ellis https://micheleellis.com/wp-content/uploads/2018/11/Logo.jpg Michele Ellis2018-12-20 15:08:102018-12-20 19:41:14What did we get for the government's effort to slow the market? Why Should You Use a Canadian Mortgage Broker? Hi everyone, and welcome back to the Mortgage Studio Blog! I’m Michele Ellis, Senior Mortgage Broker at the Mortgage Studio. In last month’s post about new federal mortgage regulations due to come into effect in January, I urged any readers thinking about changing or applying for a mortgage to give me a call so we could talk through your options. I know I heard from some of you, and I hope to continue helping people wondering what to do between now and the end of the year with regard to these particular new guidelines. However, my job as a mortgage broker extends far beyond guiding Canadians through big changes to the mortgage market, and so I wanted to take this post to briefly explain the services I provide even when there aren’t big changes like these on the horizon. So, without further ado, why should you use a Canadian mortgage broker? A lot of people who come to me looking for mortgages are first-time home buyers who have never had reason to give mortgages a second thought. Even for more experienced homeowners, it’s difficult to take personal goals and desires about the future and translate that into smart personal mortgage policy today. Is it better to look at fixed or variable-rate mortgages? How much of a down payment do you need to save, and, for that matter, how big of a mortgage can you reasonably expect to be approved? Questions like these – and the countless others that stem from the minutiae of federal, provincial, and private mortgage requirements – are ones that I’ve encountered every day for the past 20+ years. I know not just how to answer them but how to answer them in the way that makes the most sense for you and your personal financial situation. And since I’m not tied to any single lender – unlike the mortgage representatives at your bank – you can trust that my advice is 100% unbiased and professional. Buying a home is one of the biggest purchases you’ll ever make, and it’s complicated and stressful enough already without trying to hunt down the best rate for your mortgage (and that’s if you even know what sort of rate you’re looking for!). Mortgage brokers like myself handle this entire process on your behalf, from getting a sense of your financial situation and shopping for rates to getting you pre-approved, approved, and finally, securing financing. Your only role in the process is giving me a call to get the conversation started – after that, you can sit back, relax, and let my years of experience do all the hard work for you. This is the part that sounds too good to be true, but 99% of my clients don’t pay for my services at all. This is because mortgage brokers are paid directly by lenders, who are just as happy to be hooked up with perfect customers as my clients are to be hooked up with perfect rates. The only exceptions to this involve situations where a client has trouble getting a mortgage through traditional lenders – such as if they have a particularly bad credit history. If you don’t fall into that category (and if you’re unsure, ask! ), then I can help you figure out your perfect mortgage and get it for you – all at no cost to you. If that sounds like a pretty good deal, I urge you to give me a call at 604-892-4647 and get the conversation started. https://micheleellis.com/wp-content/uploads/2018/12/tom-rumble-645202-unsplash.jpg 2250 4000 Michele Ellis https://micheleellis.com/wp-content/uploads/2018/11/Logo.jpg Michele Ellis2018-12-20 15:05:342018-12-20 19:41:19Why Should You Use a Canadian Mortgage Broker? There are a variety of reasons why Canadian homeowners refinance their mortgage. Simply put, refinancing means renegotiating an existing mortgage loan agreement. This year, refinancers accounted for 15% of respondents to CMHC’s Mortgage Consumer Survey. Refinancers do go online to use a mortgage calculator and compare interest rates. Still, they’re the mortgage consumer segment most likely to conduct offline research only. About half indicated they’d feel comfortable using more technology to arrange their next mortgage transaction. However, face-to-face interaction was still rated as important. Broker and lender share remained relatively stable among refinancers. Sixty-eight percent were satisfied with their broker and 79% were satisfied with their lender. When asked what type of additional information they’d have liked to receive from their mortgage professionals, the top answers were: information about mortgage or purchase fees, types of mortgages, closing costs and interest rates. monthly budget. Still, 69% are comfortable with their current level of mortgage debt. What’s more, 63% indicated that if they run into financial difficulty, they have other assets (investments, other property, etc.) they can use to help meet their needs. Refinancers also showed significant confidence in homeownership. A full 80% believe that homeownership is a good long-term financial investment and 74% feel emotionally attached to their home.